It is ironic that modern governments (who hardly even believe in gold as money) have a history of making war on gold when times get tough. The facts bear out the cases of five different nations making it their business to confiscate or outright ban private party gold ownership when push comes to shove. Read on to see the scenarios in which countries ranging from the United States to Great Britain, to Germany to Australia found it necessary to seize these most valuable of assets from their own law-abiding citizens over the past century. Who could ever forget that first modern-day case of gold seizure, carried out not by a third-world renegade South or Central American “banana republic,” but by the United States no less. It was the autocratic President Franklin D. Roosevelt who felt it necessary to issues his now infamous Executive Order 6102 in 1933 (pictured above) to order any private citizen possessing gold to hand it in to his federal government for $20 in bills or face severe criminal penalties. Indeed this order made it criminal to own monetary forms of gold anywhere within the territory of the United States. Needless to say, whether out of fear or a sense of patriotism, the overwhelming majority of Americans complied with the order and handed in their most valuable possessions just because Uncle Sam told them to. The Feds did extremely well on that particular forced transaction too. Today's equivalent of $20 bills from the early 1930's equates to about $370. The government paid the equivalent of $370 for each troy ounce of gold back then. With gold pushing north of $1,300 nowadays, they got quite a bargain at the expense of the best household wealth of their own subjects. Ironically it was the so-called “Land of the Free” which first took the flying leap into the territory of gold confiscation of the world's oldest form of currency. Germany's own Hitler had a bad track record where gold searches and seizures were concerned. Upon his successful march into Prague, the Czech Republic, he actually dispatched an order to the Bank of England that was holding the Czech national gold reserves. He demanded that the British transfer the Czech gold reserves to his Germany account. This was a strange case that proved even powerful and sovereign whole countries can have their gold confiscated. In keeping with his love of seizing other entities' gold stocks, Hitler and the Nazis did not simply stop with other nations like the Czech Republic during World War II. They made it illegal for any Jews fleeing Nazis German territory to take any valuable of theirs with them. Everyone has heard the horrible stories of the many desperate ways in which the fleeing Jews who were getting our of Germany (while they still could) tried to secrete away their family heirloom-valuables under their clothes. The sad part is that a huge number of them were caught trying to do this, had their heirlooms seized, and were then likely imprisoned (or worse). There is a lesson for all of us who own gold and store it within our own countries in this. When the moment comes where it is obviously time to get away with your gold, you may have major checkpoints to contend with before you even reach customs at the border control. Many of you will not even get to the customs point before they shake you down for your precious metals treasure. Twenty-five years after the Americans set the gold-confiscating standard, Australia decided to try it out themselves. In the year 1959, they opted to employ their Banking Act in order to simply outlaw owning the majority of forms of gold. Australia instead insisted on it being remanded to the national government in under a month of a person gaining possession of it. The government was generous enough to trade out paper currency in exchange for the hard tangible assets, fortunately. This kept it from degenerating into an outright forfeiture case. Great Britain has long been regarded as the bastion of capitalism and law and order for centuries now, stretching back to even the 1700's when most other countries were still autocratic monarchies or dictatorships. Yet despite that, it has not been 50 years since the British found themselves desperate enough to attempt to block gold in a last- ditched bid to staunch the bleeding from the value of their pound sterling. It was due to the fact that they abandoned the gold standard. They knew intuitively that their own citizens would resort to purchasing offshore precious metals and bring them into the country secretly. The government responded decisively by banning all gold ownership to a maximum per person limit of only four coins. In order to own a greater number of gold coins than this, you were forced to “apply” to Her Majesty's Treasury and give a thorough explanation for why you needed to own physically held, tangible gold in the first place. You know how that would go, if and when they ever got back with you. The old well-worn government expression “Don't call us, we'll call you,” (from the U.S. government) comes to mind. Only a few short years ago in 2015, the Republic of Cyprus decided to try a modern-day variation on the gold seizure theme by going an easier route— through just seizing cold hard cash in bank accounts instead of gold. Oh, they only grabbed amounts exceeding 100,000 euros in a single account (which amounted to most of the accounts of the many thousands of foreigners living there), yet that was where the really big score lay. The country was able to utilize the billions it seized to bail-in their collapsing major banks and whole banking system. Just like that problem was effectively solved, oh and uh sorry Russians if we took your money. It only takes a single stroke of the pen for a Big Government to strike away any and all rights and laws that safeguard your right to own gold privately. In today's dangerous geopolitical and economic climate, things are now so hostile that politicians will be easily able to convince the overwhelming majority of the population which actually does not own any physically held gold that their precious metals hoard has to be seized. There are countless nations in Asia and other places where they always have and still do consider gold to be money. These are better, far-safer jurisdictions in which to have your gold when you really need it. 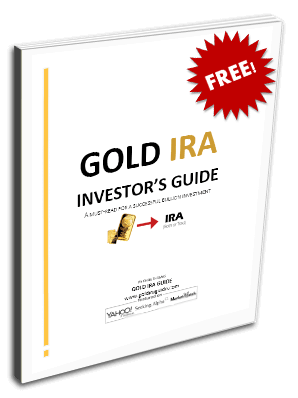 Places like Singapore, Hong Kong, Dubai (United Arab Emirates), Austria, the Principality of Liechtenstein, and Switzerland are all excellent choices for rainy-day gold holding locations. Austria is so famous for secrecy in gold holdings that it has what today remains one of the only anonymous gold storage vaults in the entire world (Das Safe), and as an added bonus, it is happily located in the best city in the world to live in (now ranked as such for over a decade)— Vienna. Asian jurisdictions will also make it all too easy for you to rent vault space (for only a hundred dollars per year) that is capable of storing millions in gold. The Storage in Hong Kong even allow you to rent a box in your offshore company's name for a fraction of normal segregated vault storage fees. Tiny Singapore has two different offshore gold storage vaults readily available to you. The Asians absolutely love gold and so make it so easy to purchase, securely store, and sell your precious metals. Last but certainly not least for reliable and safe places to expatriate your gold is Dubai in the UAE. This property-rich emirate is also famed as the “City of Gold” for handling around 20 percent of all the gold produced in any given year in the world here. They charge no VAT or sales taxes on precious metals purchases and sales, have no duties on imports and exports related to them, and levy no restrictions on owning gold and silver here. The DMCC is their world class, purpose-built precious metals storage vault which is both co-owned and -managed by Brinks and Regal Assets.